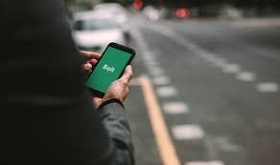 Bolt, the ride-hailing company from Estonia previously known as Taxify, has launched operation in the Swedish capital, reported LETA/BNS. "I believe we can offer both the customers as well as drivers the best transport platform in Stockholm," said Nils Wijkmark, Bolt's operations manager in Sweden. Bolt also launched an electric scooter rental service in the Spanish capital Madrid in April and announced recently that it plans to start offering a food delivery service shortly, launching it first in Estonia, Finland and South Africa.